Playing the ball late: A boon or a bane? Detractors of cricket often argue that it is a boring sport; that players are just standing around most of the time and that it is a slow game. Nothing could be farther from the truth. 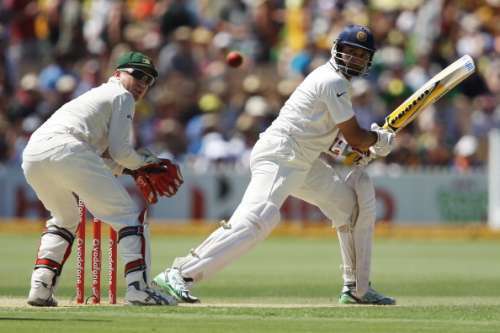 Agreed that Test cricket appears slow when compared with the shorter formats of the game. Yet, the longer format is the one which requires the most skill, stamina, self-belief and concentration. An understanding of the nuances of batting, especially the concept of playing the ball late, will put all these arguments to rest. Cricket is as demanding and as quick a sport as any other. One might say that the ball moves much faster in tennis or baseball, but in tennis, players use a racquet to generate speed, while in baseball the ball is ‘thrown’. In cricket, you can do neither. Instead, you only have a piece of willow that is marginally broader than a baseball bat, and the ball is allowed to bounce and do funny things off the pitch. All this, and the batsman gets less than half a second to respond. Besides not getting out, the batsman also has to score runs. Studies have shown that a batter only has close to half a second (and lesser if you are facing a Shoaib Akhtar or a Brett Lee), before the ball reaches the stumps. According to research, “the batsman must judge the vertical position of the ball to within 3 cm (limited by the bat's width) and its time of arrival to within 3 milliseconds (limited by the time the ball takes to pass the effective percussion [contact] zone of the bat).” That is how fast cricket is, and yet any cricketer or coach worth his salt will say, ‘play the ball late’. As has been said by countless cricket experts, the trick is to pick the ball early and play it late. A leather sphere, often hurled at speeds of 145 km/hr does have the ability to make any person cringe. In such situations, it is much easier said than done, to play the ball late. 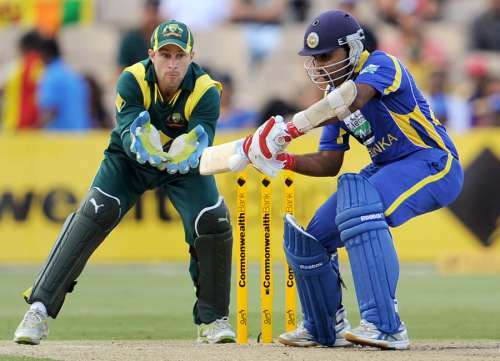 An instinctive reaction would be to hold out the bat as the first line of defence, as far ahead as possible. This is a perfect recipe for losing a wicket and exactly what the bowler is looking for. Such is the paradox of batting, that the earlier you pick the ball, the later you will play it. In order to hit the ball well and make it travel, it has to be played late. The harder you hit the ball, the slower it goes off the bat. Exquisite timers of the ball, like Mahela Jayawardene or VVS Laxman, never relied on strength and yet, the balls always raced off their bats. They were not hitting as much as timing the ball. What any of these great timers of the ball will tell you is that you have to play the ball as late as possible (but not too late, obviously). Playing the ball early, stepping out of the crease, or going for a lofted shot does make cricket seem more exciting and batters like Chris Gayle, Virender Sehwag and David Warner have made it fashionable. Yet, playing the ball early is anything but a guarantee of good timing. Traditionalists will squirm at the sight of someone playing the ball early, and the slightest mistake while playing early could lead to a dismissal. Even the power hitters have to wait for the ball to come to them or risk getting out caught in the outfield. It is a well-known fact that a new batter is easier to dismiss than a set one. It takes a while before the blood starts flowing and the feet start moving. It is during this phase that the batsman is most tentative and even a master of the game like Rahul Dravid will have a poke at the ball. There is an eagerness to feel the touch of the ball, and an anxiety that comes with having just arrived at the crease. This is the period when most players will fend for the ball, or play away from the body and in most cases, too early. The skill of timing, of waiting for the ball to come to the bat rather than going after it, or of leaving the ball alone, are all displayed in due course as a player gets set at the crease. It is not for nothing that a player will rarely play a late cut off the first ball. Playing the ball late needs the batter to be in good rhythm, to have gained confidence in his stroke play and to be seeing the ball very well. Sometimes, telling a player to consciously play the ball late and curb their natural game, might backfire. A predominantly front foot player will be out of his element while hanging around within the crease and will sooner or later end up making a mistake. Asking an attacking player to trade their predominantly front foot style for playing the ball late will definitely bring about their downfall. Hence, when such a player is forced to curb his instincts with the team in trying circumstances and decides to play the ball late, he generally does not succeed for very long. Commentators are quick to pronounce judgment; the player was not playing his natural game. There was hardly a worse period to be a batsman in international cricket, than during the 1990-91 season, when Wasim Akram and Waqar Younis were at the peak of their powers, having perfected the art of reverse swing, unknown to other teams. During New Zealand’s tour of Pakistan that season, Martin Crowe stood out as the only pillar of resistance against the fearsome Pakistan pace battery. His trick: bringing the bat down at the last minute. Waqar has himself acknowledged that Crowe was the best batsman against reverse swing he had ever seen. 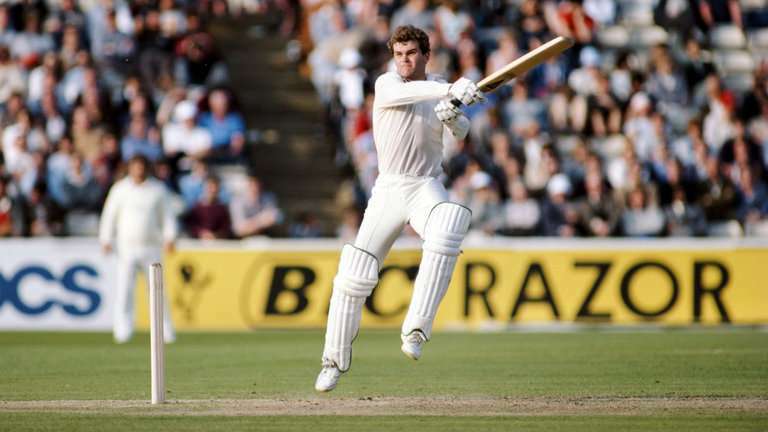 In the second Test of that series, Crowe dug himself in to play a marathon innings of 108 spread over ten hours, successfully negating both Wasim and Waqar. He had worked out that the balls swinging away from the offstump line could be left alone and he only had to focus on the one coming in. No wonder Crowe believed in playing the ball late. The impression that spin would be easier to handle since it is slower and affords the batsman more time is absolutely deceptive. Playing spin bowling on a turning track requires not only good technique and concentration but also decisive footwork and soft hands. There is sometimes a little clue as to how a ball is going to behave after pitching on rank turners. This is often where batsmen from the subcontinent excel, and someone like a Younis Khan stands out among his teammates. Players like Alastair Cook, Hashim Amla and Jacques Kallis have all employed the technique of playing the spinning ball late and, by virtue of it, prospered on their tours to the subcontinent. The subcontinent batsmen are masters at this art, having been brought up on dustbowls and square turners. The success of these few batsmen from outside the subcontinent, however, proves that playing late is a skill that can be developed and employed to great effect. As opposed to playing the ball late, batsmen also counter the vagaries of the ball after pitching by getting to the pitch of the ball. Playing the ball early negates some of the risk of the swinging or spinning ball. Most of the players who have amassed a large number of runs in the subcontinent are very masterful at getting forward. Whether it is a doosra, or a flipper or an arm ball, when you get to the point where the ball bounced, there is little chance for the ball to do anything. This, however, requires exquisite footwork. It is also not easy to get too far down the pitch to fast bowlers. Getting a good stride forward is a technique recommended by many coaches and players. It reduces the chances of a player being dismissed lbw, since he is far forward and it will be difficult to predict the trajectory for a longer distance to the stumps. However, getting far ahead without watching the ball might lead to a stumping, or an edge might land safely in the hands of any of the close-in fielders. Although players like Michael Clarke have demonstrated the effectiveness of stepping out against spinners, getting ahead is not without its perils. The dangers of getting a stride forward were exemplified by Ricky Ponting during Australia’s 2001 tour of India. He was dismissed by Harbhajan Singh each time he walked out to bat, and at the end of the series, his scores read 0, 6, 0, 0, 11. Even the 11 runs in the final innings was courtesy a bad umpiring decision as he had nicked the ball to the keeper while facing his first delivery. Each time he stepped forward, his bat hung around aimlessly only to edge the ball and on the few occasions that he hung back in his crease, he played beside the line, or across.